FC Locksmith > Blog > Articles > Home Safety > Do You Know When Key Change Is Needed? Do You Know When Key Change Is Needed? Simply put, key change will be needed when a brand new key is required for your doors. Since keys play a major role to the security of your house, making the right decision about them is crucial. Are you sure you need to change the key or you merely need key replacement? These are similar, yet different locksmith terms but each will serve a different need and purpose. Having the key replaced means that the original one is misplaced. Though, are you sure the key is just missing or is there a possibility it was stolen? In this case, you will need to change it and along change the door locks as well. Dead bolts are operated with a unique key that matches the pins and tumbler of the mechanism and opens or locks the door. If you change the key, you also need to change the lock or basically the tumbler. 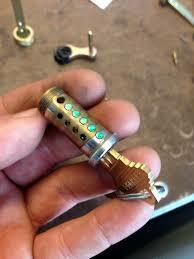 In some cases, you will need a new key not because it was lost but because there was need for lock rekey. Changing the tumbler of the lock will require a new key. Obviously, lock replacement will also demand a new key since every lock has its matching key. Though, what happens when the key breaks in the lock? Will you need to change it then or simply replace it? When there is no fear that the keys of your house or office might be found in the hands of strangers, you don’t have to change them. In such cases, replacing the key is all you need. It’s like making a duplicate of the original one and that’s why replacements must be cut with precision. The key jaws must match perfectly the configuration of the tumbler pins of the lock in order to operate properly and FC Locksmith can promise you the best job. So, it all comes down to your security. Cutting a new key or having residential lock rekey that will give you a new key anyway ensures your security. After all, locks are rekeyed when there is a suspicion that third parties, landlords or ex-tenants of the house still have your current keys. Having the keys changed has the same logic! Do you suspect that someone has stolen your keys or someone made duplicates of them? Change them immediately to avoid home security issues.